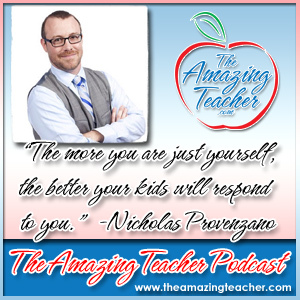 This week, I sat down with Nick Provenzano, the Nerdy Teacher, who has been nominated and won several awards for his blog at TheNerdyTeacher.com. He was so gracious to stay up late on a school night to speak with me over Skype, and he has so much to offer new teachers. He is a leader in educational technology, so I had to pick his brain on using the Evernote App. He actually is an Evernote Ambassador in Education, so in part of the interview, I pick his brain about this really useful app. Nick shares with us how it is so important to just listen to kids. It can be the most important thing that a teacher can do for a student, because there might no be anybody else who will. 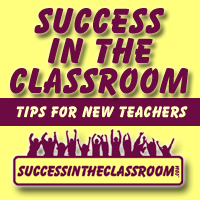 Nick also shares some great advice for new teachers about “Being You.” I found a video on his blog where he talks about this, and I had to ask him to elaborate. Here’s the link to the video. He also shares about the 20 Time Project where he has his students blogging about a project that they are passionate about. In the podcast, I ask the listeners to head on over to his blog and add a comment on the student blogs. I know his students will appreciate the love, so if you would please take a few minutes before or after listening to the podcast and leave a comment on one of these blogs, it would mean a lot to his kids. Click here. I had a great time speaking with Nick. I know you will find great value in what he has to share on the podcast. Check out Nick’s book: The Complete Guide to Evernote in Education.